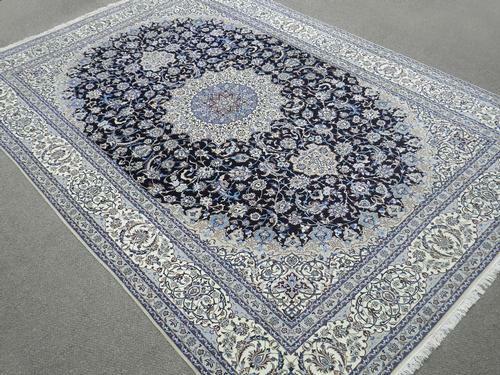 Phenomenal super fine handmade Kork/Silk 3-LA Persian Nain rug. 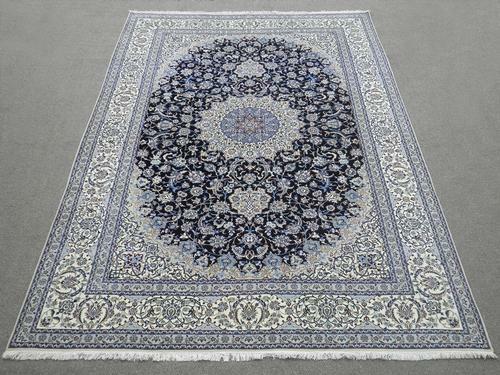 Size 12.6x8.8 feet, Made of soft and finest baby lamb's wool (Kork) and highlight pure silk pile on cotton foundation, all natural vegetable dye, and the pile tightly knotted. 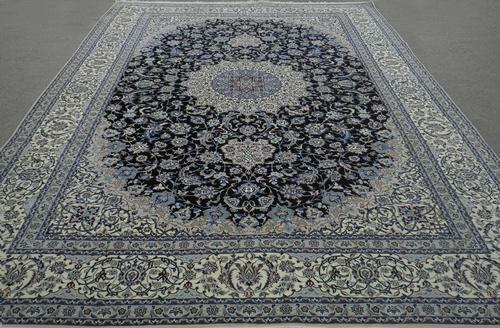 A 3-LA rug which has the finest and higher density the knots. Hand woven by a master weaver in Nain, Iran.